OEM Replacement or ETI Part Replication? You’d never know the difference. Except for price and delivery. 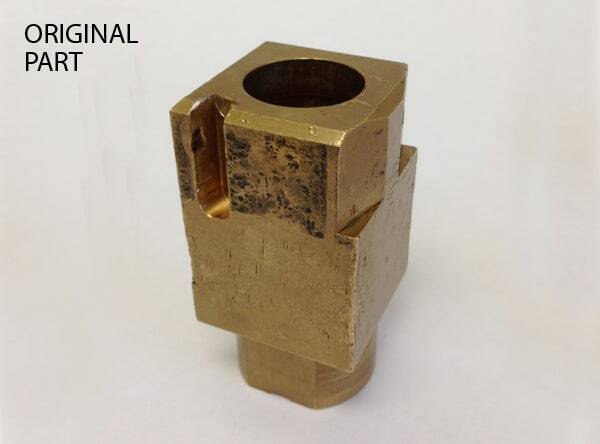 Our machine shop services provide quality custom parts in less time and at a lower cost than the original manufacturer. 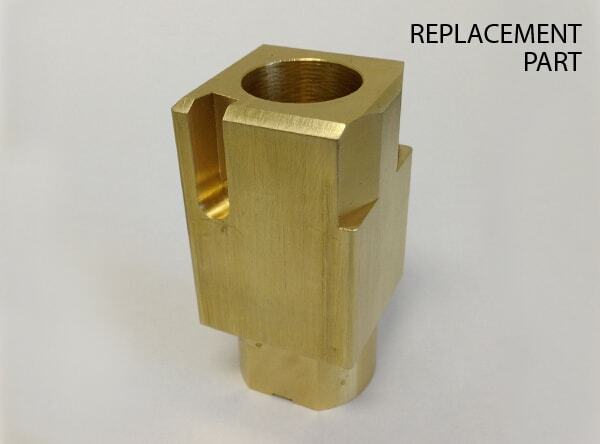 We can reverse engineer parts to the necessary specifications or tolerances, guaranteeing you have that part when you need it. NO PRINT? NO PROBLEM. NO DELAY. 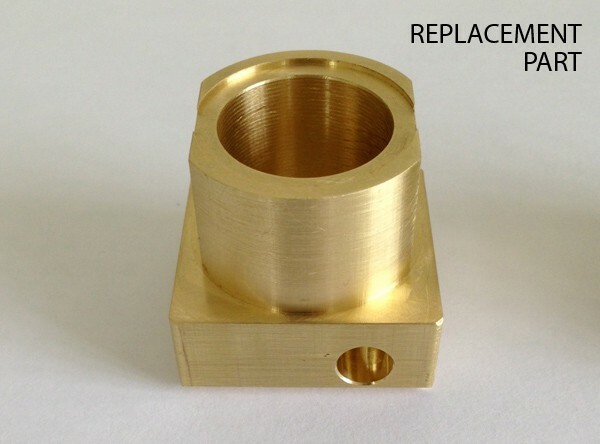 We can create a print by reverse engineering your part. 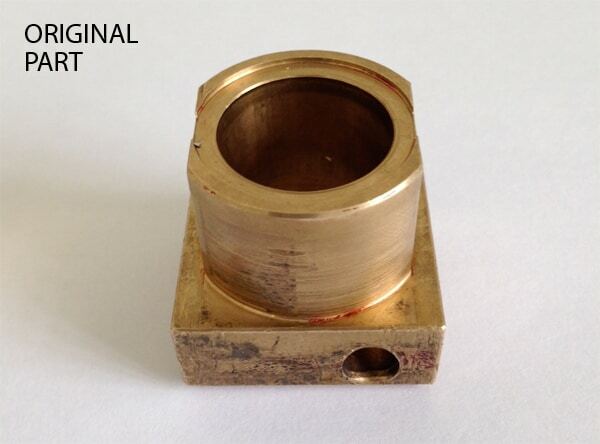 Just mail the part to us and our team will evaluate the critical design details and provide a quote. We may, when applicable, be able to offer suggestions for quality improvement to extend the life of your wear parts and save you money in the long run. For instance, ETI was able to reverse engineer and modify a booklet guide into a two-piece design, the mounting and the removable foot (see below). 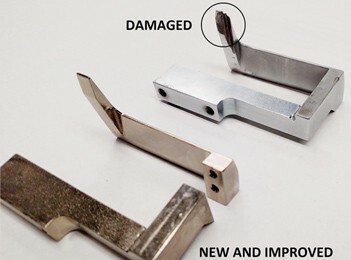 Now the customer only needs to replace the wear piece in the future, which means a cost savings of 50-75%.